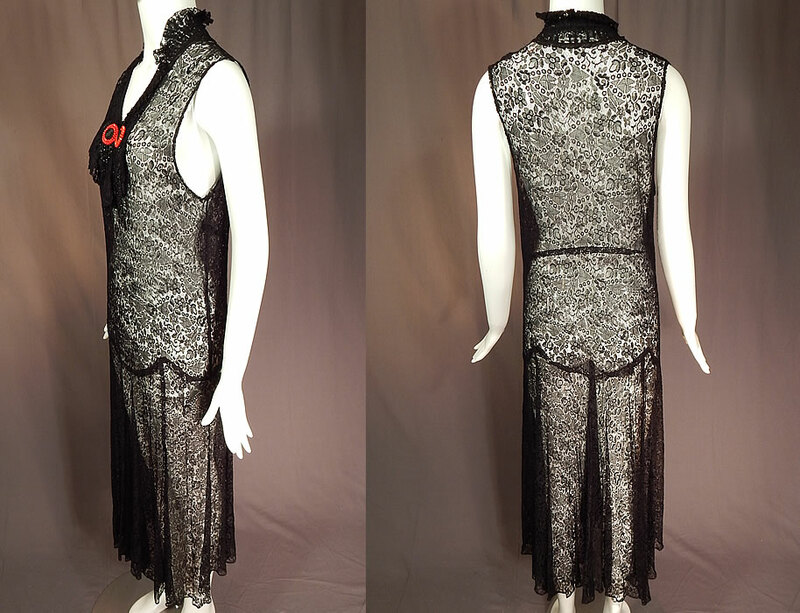 This vintage Art Deco black lace net floral pattern beaded drop waist flapper dress dates from the 1920s. 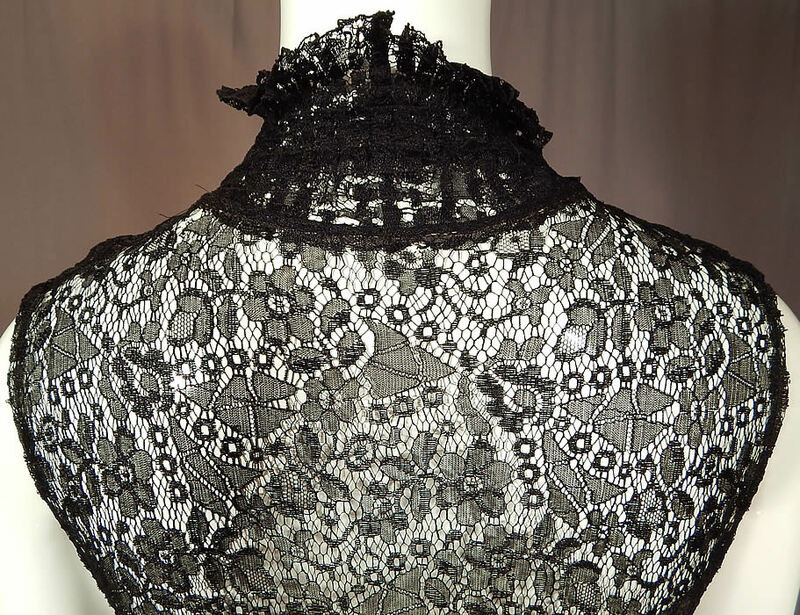 It is made of a sheer black fine silk net lace fabric, with a shaded floral leaf pattern and abstract geometric shape designs. 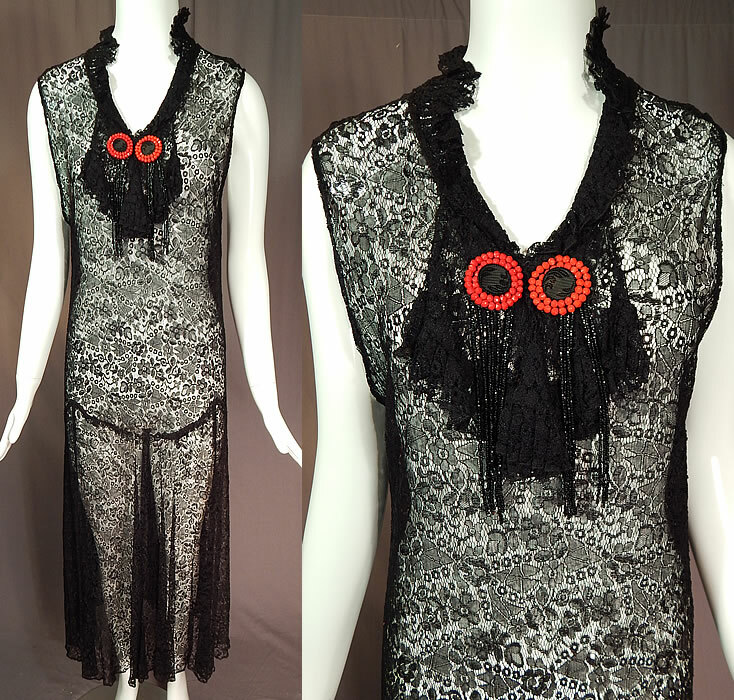 This fabulous flapper dress has a form fitting drop waist sleeveless style, with a pleated ruffle stand up back collar, V front neckline with lace jabot ruffle, black jet glass buttons framed with red beading, black beaded fringe trim and is sheer completely unlined. The dress measures 51 inches long, with a 38 inch bust, 30 inch waist and 38 inch hips. Included is a black cotton straight shift style slip dress which measures 47 inches long, with a 36 inch bust, 42 inch waist and hips. 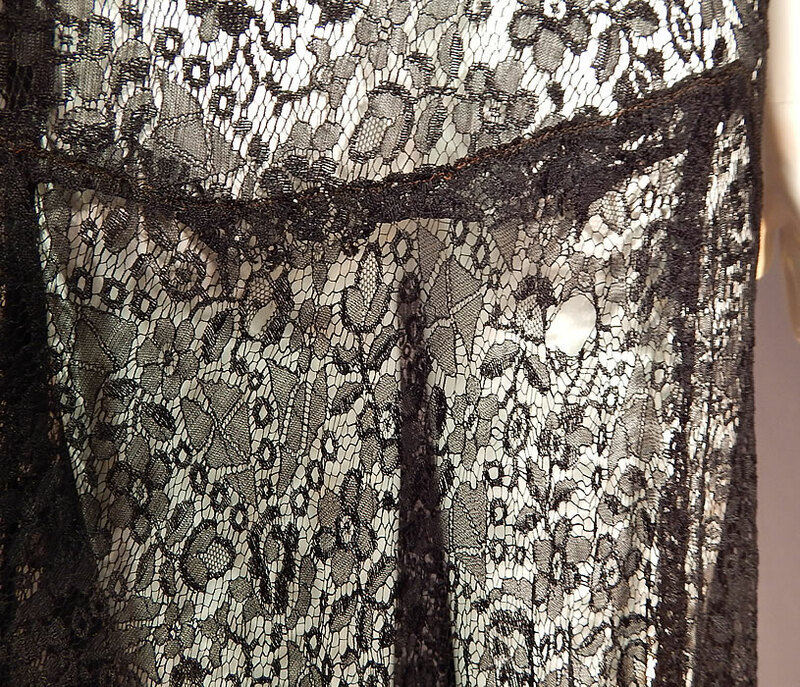 It is in good as-is condition, with a few frayed open side seams and a small hole on the back skirt (see close-up). 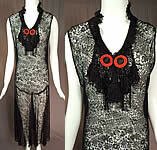 This is truly a wonderful piece of wearable lace textile art!